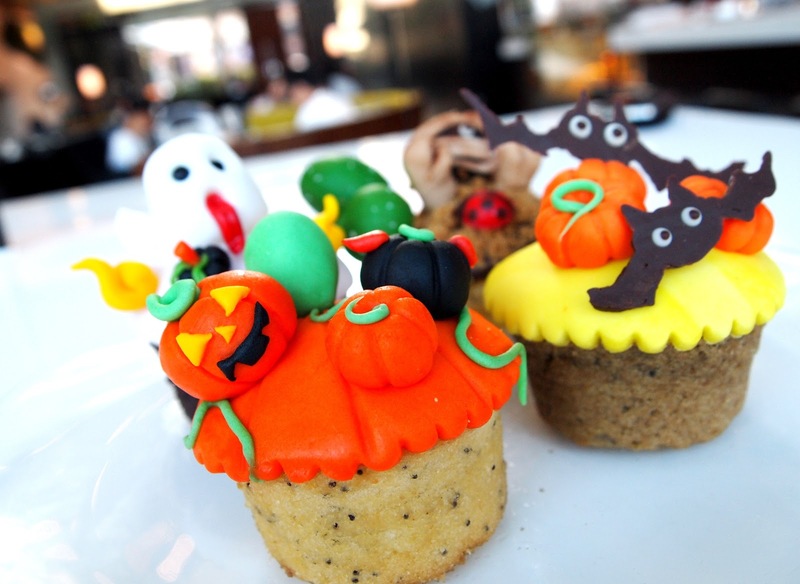 As if we didn't love those Hotel Icon cupcakes enough the way they were, cream-filled with that moist, fluffy cake texture that's enough to elicit strings of saliva more commonly spotted on my gluttonous dog... here they now have Halloween-themed versions for tomorrow's festivities! If you're too old for trick-or-treating (we know you're young at heart, but strangers might be wary of adults going door-to-door seeking candy donations) then these will certainly satisfy that sweet-tooth. 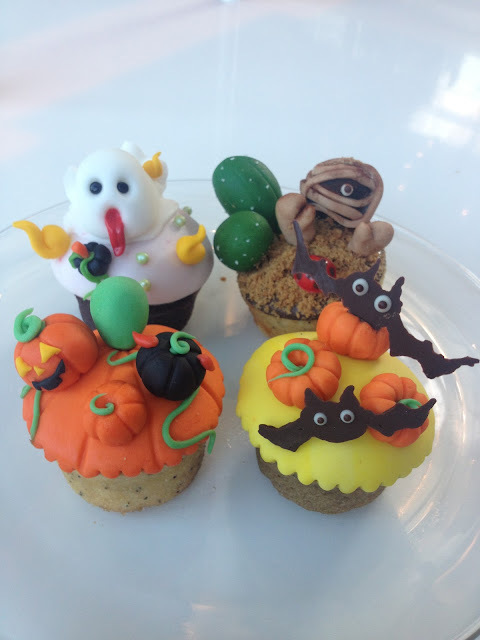 That pumpkin one is clearly a lemon poppy seed! Get them at Green.